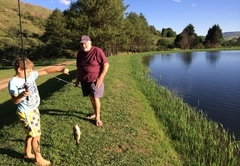 Meadow Lane Country Cottages is a highly recommended property providing self catering in Underberg for tourists visiting the Drakensberg region. 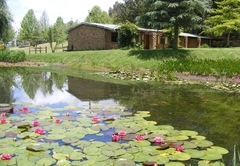 Meadow Lane Country Cottages offer tranquil accommodation in a park-like setting. 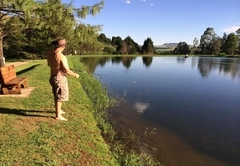 Five self catering cottages are surrounded by gorgeous old trees, an array of birdlife and peacocks that love to show off their colours! 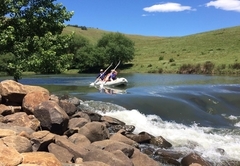 Relax by sitting at our beautiful dam that is home to both ducks and geese and is well stocked with bass (catch and release fishing is welcome). 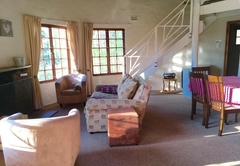 The cottage sleeps four in two bedrooms. 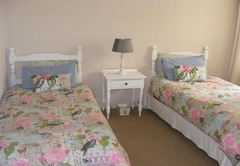 Bedroom one has a double bed and the second bedroom has two single beds. All beds have linen and electric blankets. The bathroom has a shower. 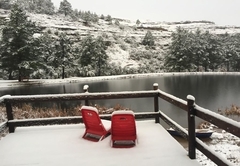 The living room, dining room and kitchen are all open plan and are beautifully heated by the log fireplace. 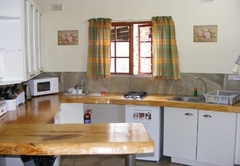 The kitchen is well equipped with a microwave, oven and stove, fridge / freezer and crockery. 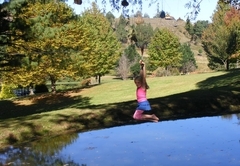 The verandah overlooks the dam. 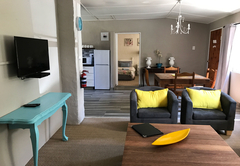 This new, standalone cottage is ideal for couples or a couple with two children. 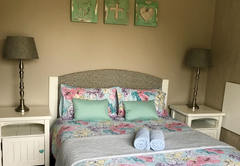 The cottage offers one spacious bedroom with a Queen-size bed. 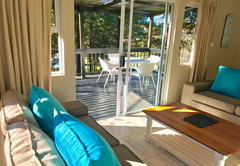 There is a cosy, private veranda off the bedroom for couples to enjoy. 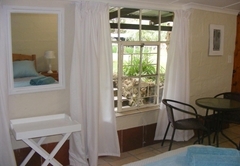 The en-suite bathroom has a large corner bath as well as a shower. 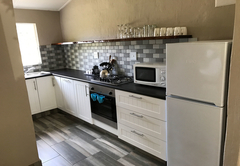 The kitchen is fully equipped for self-catering with an open plan living and dining room that opens onto a deck with a braai facility. The lounge offers two double sleeper couches. 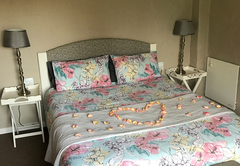 There is a TV with DVD player in the bedroom and we have over 600 DVD’s for hire at the reception. 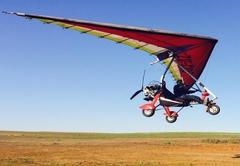 We do not have SABC or DStv channels. 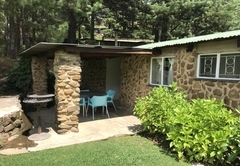 This is a four sleeper cottage with two bedrooms. Bedroom one has a double bed and bedroom two has two single beds. All beds have electric blankets. The bathroom has a shower. 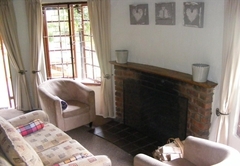 The living room, dining room and kitchen are all open plan with a gorgeous log burning fireplace. 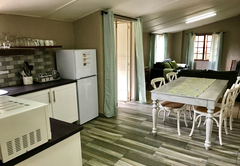 The kitchen is fully equipped with a microwave, fridge / freezer, oven and stove, cutlery and crockery. 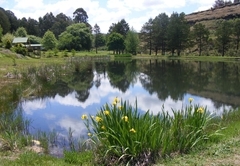 The verandah, with a braai, overlooks the dam. 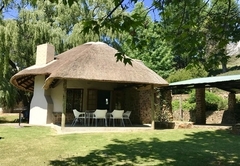 This is a gorgeous thatch cottage sleeping 6 guests. 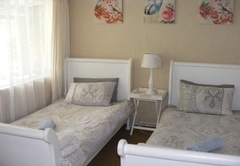 The first bedroom has a queen bed and there is a large loft room with two single beds and a Queen-size bed. All beds have electric blankets and linen. 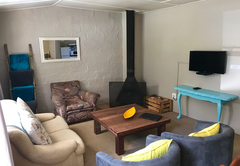 The living room has a cozy log fireplace and the kitchen is equipped with a microwave, fridge / freezer as well as crockery and cutlery. The spacious bathroom has a shower. 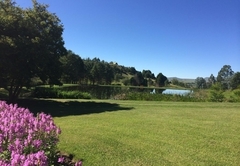 The veranda, with braai facilities, has beautiful views of the property. This is a small but neat and cosy studio cottage that sleeps two in a double bed. 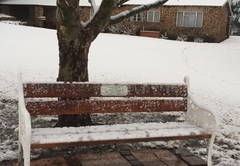 Linen and an electric blanket are supplied. 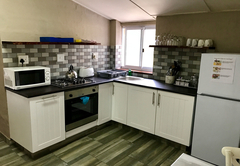 The kitchen is fully equipped with well equipped with a microwave, fridge/freezer, oven, stove and all crockery and cutlery. 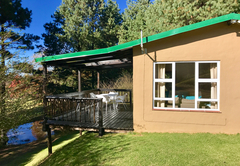 The veranda offers a braai facility. 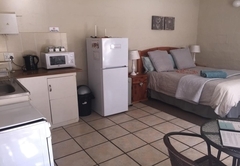 This small but cozy studio cottage has a double bed with bed linen and an electric blanket. The bathroom has a shower and towels are provided. 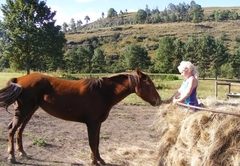 There is a small dining table and a fully equipped self-catering kitchen. 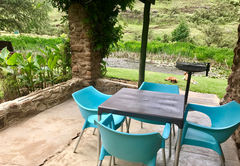 The veranda has a braai facility. 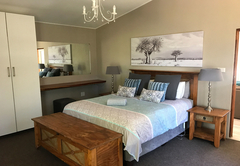 This new, luxurious cottage offers 1 spacious bedroom with a queen bed, an en-suite bathroom with a large corner bath and a shower. 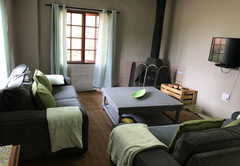 Fully equipped kitchen and a lounge with a fireplace as well as 2 sleeper couches for 2 children. 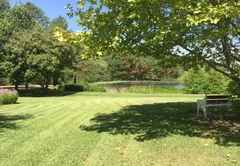 Large deck with braai. 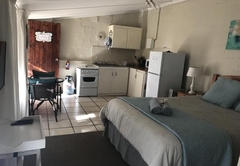 Newly renovated with 2 bedroom cottage with double bed and twin single beds. 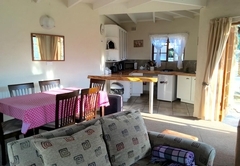 Fully equipped self-catering kitchen, open plan living/dining area with a cozy fireplace. The bathroom has a shower. Veranda with a braai. 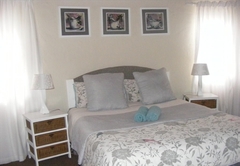 Newly renovated 4 sleeper cottage with 2 bedrooms: a queen bed and twin single beds. The bathroom has a shower. 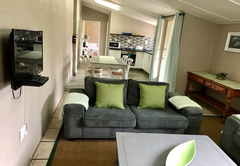 Fully equipped self-catering kitchen, fireplace in the open plan living/dining area and a braai facility on the veranda. 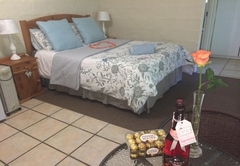 A gorgeous thatch cottage offers a main bedroom with a queen bed and large loft with a queen bed and twin singles. 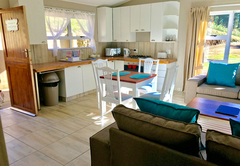 Kitchen is self-catering with microwave, kettle, fridge/freezer, stove (no oven). Open-plan living area with fireplace. 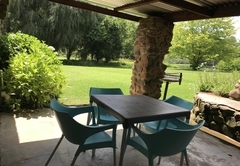 Veranda with braai. 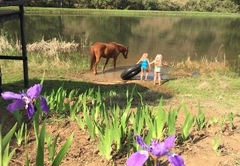 Response timeMeadow Lane Country Cottages typically responds to requests in 5-10 minutes.